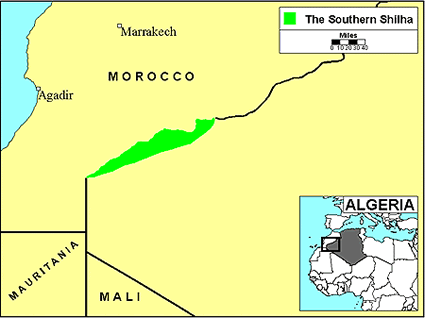 While a majority of the Southern Shilha live in southwestern Morocco, another large group live in neighboring Algeria. In this region, the mountain barrier is the dominant feature. Although it is not very long, this mountain chain is the highest and the most imposing stretch of the vast Atlas range. Between November and May the region is blanketed in snow. On the southern slopes, there is almost no plant life. The Southern Shilha are grouped around this area in villages of all sizes, using the scarce soil and water resources with great care. They build small dams and cultivation terraces on which they grow cereals and other crops. They also raise livestock to supplement their income and resources. Villagers sell their surplus farm and livestock products at the weekly markets in order to buy such vital commodities as sugar and tea. Marrakech, the former capital of Morocco, is a key commercial center for the Southern Shilha. 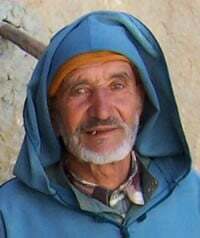 City men and women often wear western clothing, sometimes accompanied by a long hooded robe called a jellaba. Men wear turbans or skull caps called tagiyas. Rural women are colorfully but modestly dressed, wearing several layers of clothing. They rarely wear veils, but the married women always wear head scarves. Some of the women also have facial tattoos. In the villages, their way of life has remained unchanged over the centuries. Most Shilha villages contain between 50 and 500 people. They typically live in two-story, mud brick homes with flat roofs. In the more rugged mountain areas they live in sturdy goat skin tents. Outside the villages, the steep slopes have been terraced to preserve the soil. On plots that are not regularly irrigated, they plant wheat, barley, and sometimes rye in either autumn or spring. Other plots, situated mainly in the valleys, are irrigated regularly by simple dams. They are able to get two crops per year from these plots. On the lower slopes, herds of sheep and goats graze; but in summer the whole family may accompany the flocks to the high mountain pastures. The Southern Shilha are a poor but proud people. They are tough and hardworking, scratching out a meager existence in a part of the world that is physically antagonistic to an agricultural society. They don't really value education because they believe that hard work is of higher value. Only a small number complete more than a few years of public schooling. In rural areas; however, many male children attend Islamic schools where they are taught the Koran. Family ties are very important to the Southern Shilha. A typical family consists of close relatives living under the authority of the male head of the home. A new bride, often as young as 14, will move into the home of the husband's family after marriage. 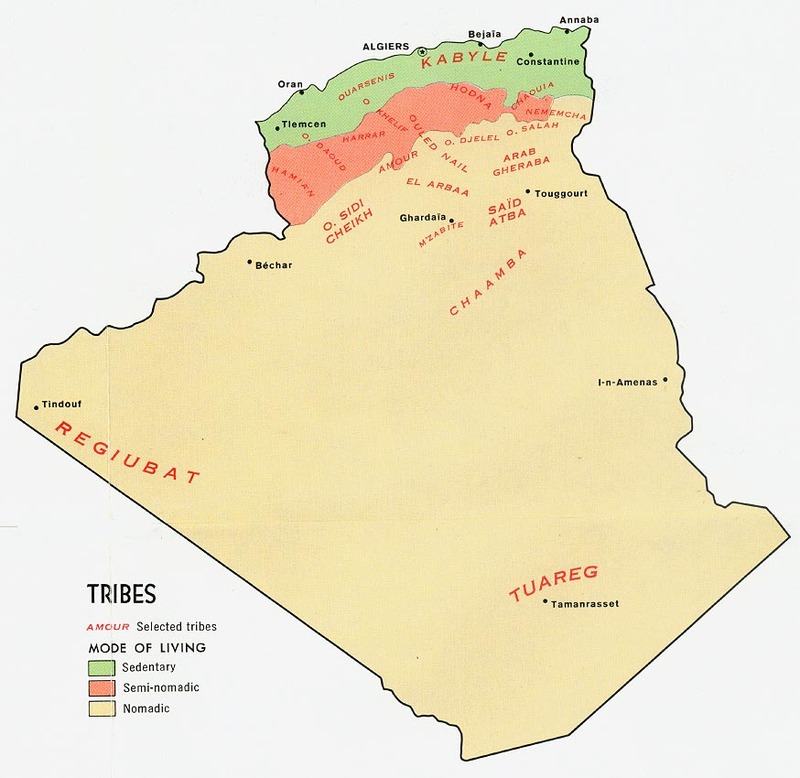 Since the late nineteenth century, many Shilha have left their poor, overpopulated valleys, in hopes of finding new resources in the northern cities of Morocco. Some have become profitable grocers, shopkeepers, or wholesalers. Others have entered the fabric trade. Today, some of the most important businessmen in Casablanca are Shilha. The Shilha speak Tashilhait, which is divided into three dialects. Although the Shilha are virtually all Muslim, their religion is mingled with spiritism and mysticism. Interestingly, this blended religion has created in them a curiosity and yearning to know more about their god. They worship a god whom they believe wants to be present in their daily lives. Such a spiritual climate is ripe for a presentation of the Gospel! Unfortunately, there is very little Christian witness among them. Today the Southern Shilha are showing an interest in Christianity as never before. There are some known believers in Algeria. More laborers are needed. * Ask the Lord to call people who are willing to go to Algeria and share Christ with the Southern Shilha. * Ask God to call out prayer teams to break up the soil through worship and intercession. * Ask God to encourage and protect the few Southern Shilha Christians. * Pray that God will complete the work begun in the hearts of these believers through adequate discipleship. * Pray for the Holy Spirit to continue to stir a hunger in the people to have a personal relationship with the one true God. * Ask the Lord to raise up a strong and growing Church among the Southern Shilha of Algeria for the glory of His name!View Berber, Southern Shilha in all countries. Location in Country: Béchar province, south near Morocco border: Tabelbala area.